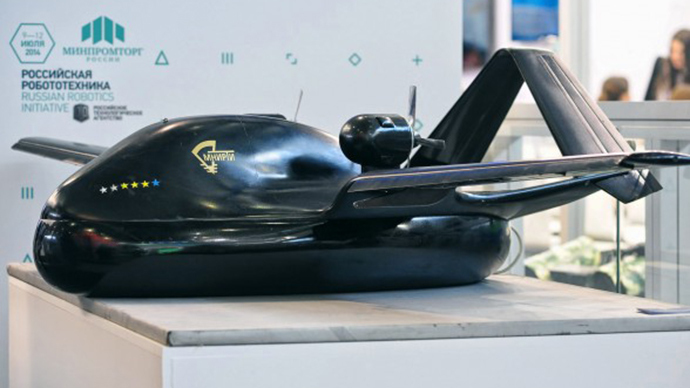 A first of a kind aircraft combining the qualities of an amphibious hovercraft and an aerial drone is being finalized for test flights in Russia. The dual-use drone could deliver cargo to hard-to-reach areas and have military uses. The aircraft dubbed Chirok (Teal) was developed by the United Instrument Corporation (UIC), a branch of the state-owned Rostec Corporation. The hovercraft airborne drone is amphibious and needs no airfield, being capable of taking off and landing on any unprepared surface, be it a snow-covered field or any handy waterway. “Last year we presented a 1:5 scale Chirok model, now we have a full size operable model with a wingspan of 10 meters ready. At the moment, Chirok is being finished off and being readied for flight tests,” a source in UIC told TASS. The UIC representative have left open the possibility that Chirok will appear at the MAKS-2015 air show at Zhukovsky airfield near Moscow on August 25-30. Chirok aircraft-hovercraft is made exclusively of composite materials, while the fabric of its air cushion was developed in Russia and is patented by the Rostec Corporation. The air cushion is fully retractable in flight mode. Information about the Chirok’s propulsion system is classified. As opposed to a helicopter, Chirok can fly at 6,000 meters and has an operable range of 2,500 kilometers. 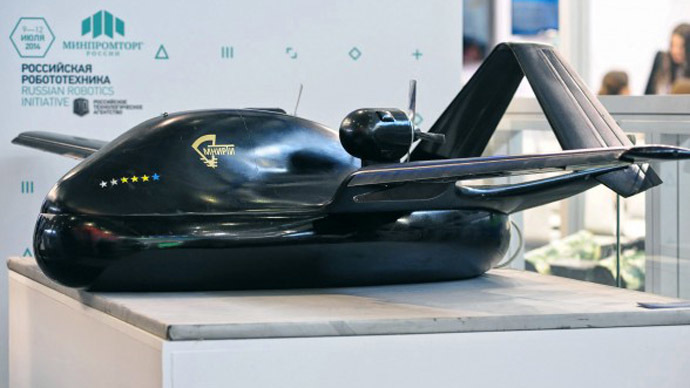 With a payload of 300 kilograms, Chirok will be capable of carrying 2-3 passengers with luggage or take aboard inspection or surveillance equipment, as well as operate as an assault drone. Chirok aircraft will most likely be used in environmental monitoring missions, wild fire detection, delivery of necessities to hard-to-reach regions, and service of distant oil rigs. Due to Chirok’s moderate size and the fact that it’s fully made of composites, the aircraft also has outstanding stealth capability. Its construction could be easily adopted for military use, such as carrying assault military appliances or conducting reconnaissance missions. Chirok has enough inner space to fit the weapons, such as small-size guided missiles or high precision bombs, internally, so that they won’t interfere with aerodynamics and stealth characteristics.